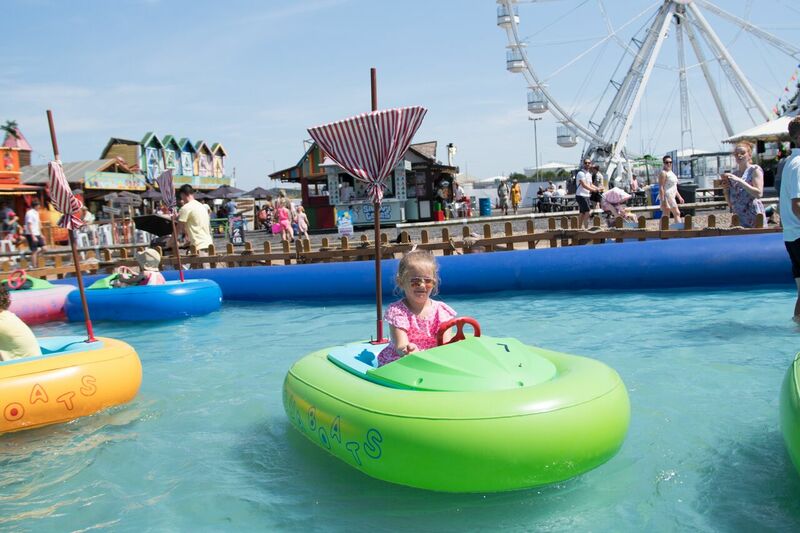 The Capital FM Cardiff Bay Beach Festival is back and it’s bigger and better than ever – in a new waterfront location near Cardiff Bay Barrage – and packing even more attractions into the summer holidays. The new Beach Festival takes over the newly developed event site on Barrage Walkway that was used so effectively for the Volvo Ocean Race Village and will be home to the Beach from July 6 (4pm) for an expanded nine weeks of family entertainment until the kids return to school, with much more on offer for teenagers, including a range of fairground rides, and a couple of white knuckle experiences. The increase in size means in addition to hosting its usual ingredients, the Festival will boast large scale attractions such as a Big Wheel visible from a wide area, Roller Coaster, big water spraying arches, movie nights, and a marquee area where visitors can enjoy the best in street food. This year there is a large covered entertainment area with daily free live entertainment overlooked by a decking area with loads of seating, surrounded by BBQ grills and sweet treats, while the Tropical Bay Bar will serve exotic cocktails in a family friendly environment. Deckchairs and beach huts and a free to enter water splash area. Cabinet Member for Culture and Leisure, Cllr Peter Bradbury said: Cabinet Member for Culture and Leisure, Cllr Peter Bradbury said: “The Cardiff Bay Beach has established itself as a firm favourite in Cardiff’s summer events programme and its expansion is exciting news for residents and visitors to the Bay. The Big Wheel was installed for the Volvo Ocean Race Village, and remains in place to point everyone to the Beach.